Jule’s Mix Pack was tart and tangy to the max! Taste a nice mix of sour candies and crunchy munchies. Summer is here in Japan and refreshing sour citrus flavors are all the rage. July is a month to celebrate the Star Festival in Japan. Enjoy a warm evening under the stars with the ones you care about. 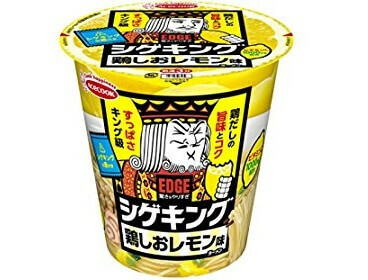 If the ones you care about are noodles, sometimes you want to try some unique ramen. So here is Chicken Salt Lemon Ramen. Right, this is SOUR ramen. Even the king’s face squints up because it’s so sour. Actually, the lemon enhances the savory taste of the salt soup. Blow away your bad feelings with this refreshing ramen in the hot summer. 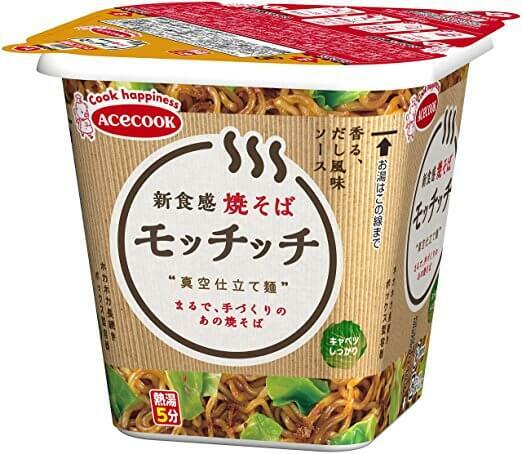 Another noodle dish in this pack was Mochi Mochi Yakisoba. “Mochi mochi” describes the chewy texture of the noodles. The sauce incorporates flavors of meat, vegetable, and fish, which are all well-balanced and will excite your taste buds. Now let’s move on to candies and snacks. The first two are star-related candies. 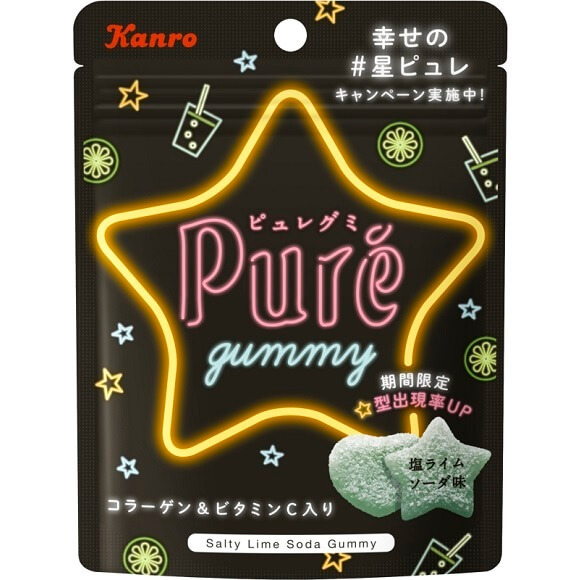 Pure Gummy are heart-shaped gummy candies, which sometimes contains star-shaped ones. But there are more chances to find them for a limited time this summer! Did you get a lucky star? Anyway, it’s nice and sweet lime gummies coated with sour and slightly salty powder. 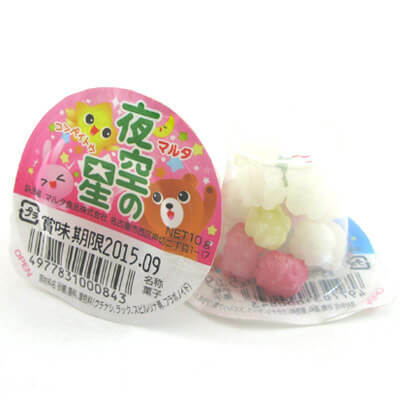 Stars in the Night Sky are tiny konpeitou (sugar candies). White, blue, red, and yellow. Luna the ZenPop bunny collected stars in the night sky for you to crunch. Bring these tiny stars into your life and make it even brighter. Now let’s see four kinds of lemon-flavored treats. Lemon Squash Caramel Corn are corn puffs flavored like lemon squash. The crispy puffs leave a fizzy mouthfeel and a refreshing lemony aftertaste. Very unique but addictive snack for the summer season! 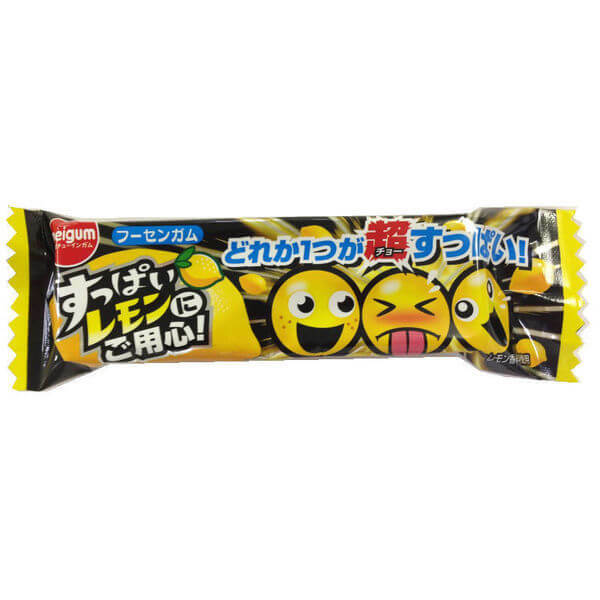 Suppai Lemon includes three lemon-flavored candies; two are sweet, one is extremely sour. You could think up a fun game to play using them. 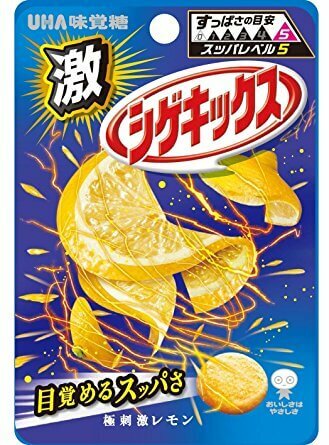 Once you eat Shigekix Lemon, you’d forget the sourness of Suppai Lemon. Because this one is super ultra sour to the maximum level! Put it into your mouth when you are feeling drowsy, and you’ll be awake from head to toe. Not only the sourness but also the hard texture will keep you awake when you need to. Let’s get back to calm with Lemon Cream Sandwich Crackers. 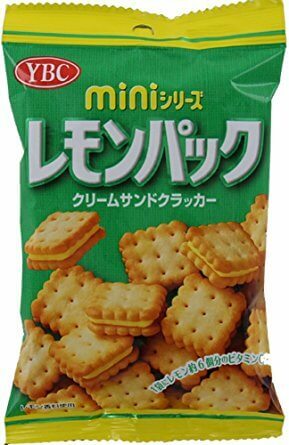 They are tender-crisp crackers filled with lemon cream, which is not super sour. The lightly salted crackers highlight the sweet and pleasantly sour flavor of the cream. This pack included two non-lemony snacks too. 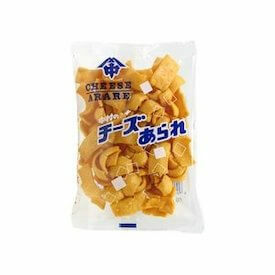 Cheese Arare has been loved by kids and adults for over decades. Do you know what is common among all long-established snacks? They’re tasty! And this is no exception. 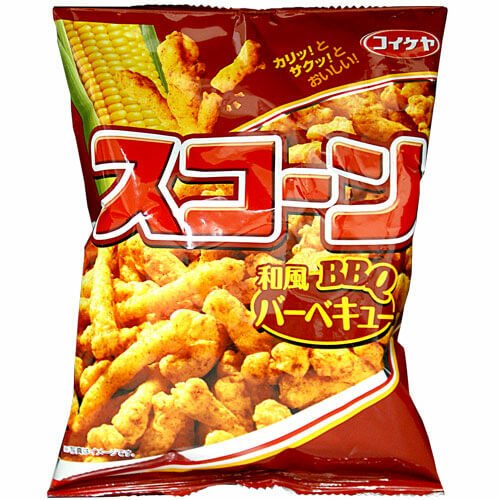 Barbecue Scorn features rich, meaty flavor and crispy texture. The savory and slightly sweet taste of barbecue will have you addicted, and your taste buds will never be bored. That’s it for this month’s pack. How did you like it? Which snack did you like the best? Share your comments and pictures on Instagram, Twitter, or Facebook. We’d love to know how you enjoyed the pack!